Our firm will register its patents in El Salvador in a short term. 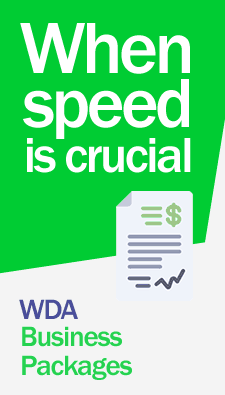 WDA Lawyers are experts in the area who will assist you personally 365 days a year, contact us now!.
. Advising and reviewing the patentability of your invention designs in accordance with local legislation.
. Review of the format and drafting of specifications, claims, and drawings in accordance with the guidelines of the international and local patent laws.
. Procedures before the Patent Office for Registration and Obtaining of Patents, amendments, transfers, name changes.
. Patent litigation, compulsory licensing, unauthorized exploitation. The registration of a patent in El Salvador is granted by the state and gives its holder the right to temporarily prevent others from manufacturing, selling or commercial use of the protected invention. Patents of the invention: It is a new solution to a technical problem, which must be susceptible of industrial application. The term of the patents is for 20 years without any extension, later this will pass into the public domain. They may also be patented in El Salvador also Utility Models: which is nothing more than any form, configuration or arrangement of elements of an artifact, tool, instrument, mechanism, and another object, or any part of it that allows a better or different functioning. The validity of the utility models is for 10 years without extension. Patents in El Salvador are also granted to Industrial Designs. These consist of any two-dimensional or three-dimensional shape that, incorporated into a utility product, gives it a special appearance. The validity of the industrial designs is for 10 years without extension. Documents required for the registration of a patent in El Salvador.
. Receipt of payment of taxes.
. SUMMARY OF THE INVENTION which is nothing more than a synthesis of what is disclosed in the description and a description of the claims. For more information on how to register your patents in El Salvador and about our services and fees, Contact us now!